Stephen Edelstein September 27, 2013 Comment Now! At the State Fair of Texas, Chevrolet today unveiled a Silverado-based concept that it says will "explore the extremes of preparedness." “Luck favors the prepared and the Silverado Black Ops concept is a survival kit on four wheels,” Chevy design manager Dave Ross said in a statement. 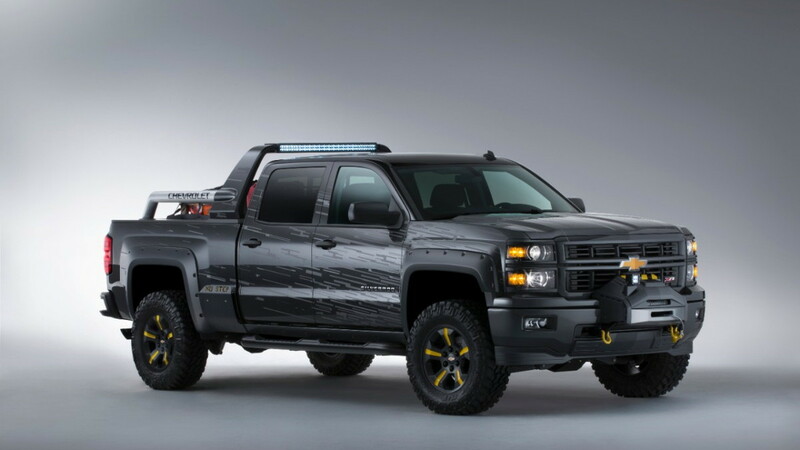 The Silverado Black Ops concept looks like it's prepared for the zombie apocalypse. The Black Ops features a raised suspension and body armor to help it traverse the post-apocalyptic wasteland, and winch in case the wasteland gets the better of the truck. Even the undead might be frightened by its sinister-looking paint scheme. 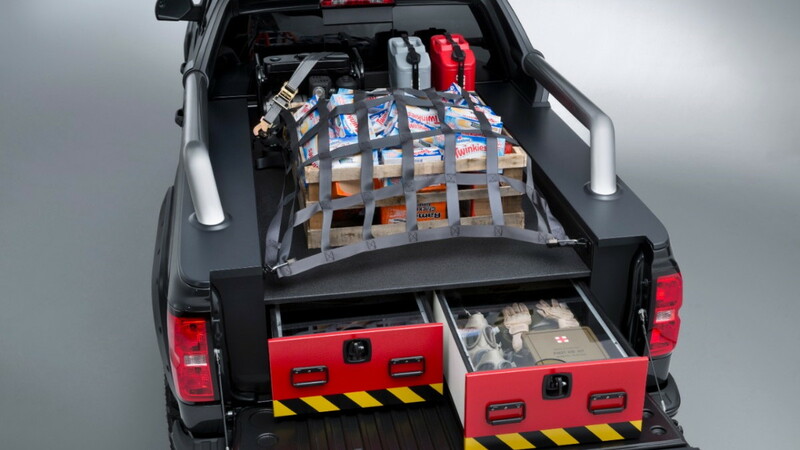 In the bed is a (presumably) zombie-proof Truck Vault storage unit, containing a solar power pack, gas masks, gloves, a military First Aid kit, a folding shovel, and rope. Mounted atop the storage locker are a generator, fuel can, and food and water rations. The Black Ops is powered by the same 5.3-liter EcoTec V-8 as the Silverado 1500 Crew Cab it's based on. It produces 355 horsepower and 383 pound-feet of torque, but also gets 18 mpg combined (16 mpg city, 22 mpg highway). There won't be many functioning gas stations after the undead rise to feast on the living, so gas mileage is important. The interior is trimmed in yellow piping, and includes a USB port and Chevy's MyLink infotainment system. The latter two features probably won't be very useful in the smoldering hellscapes the Black Ops was designed for. 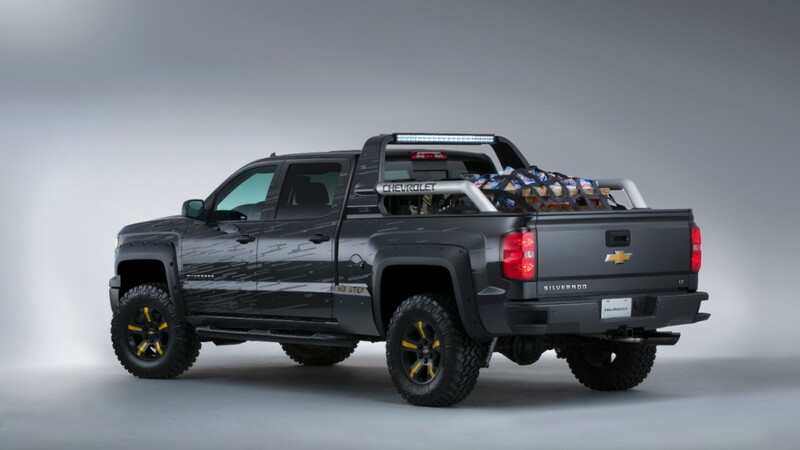 The Black Ops is just a concept, but it shows the potential the 2014 Silverado has as a zombie survival vehicle. Lingenfelter-Prepped Chevy Reaper To Battle Ford Raptor?